Kingstonian, who were defeated 7-1 at Dorking Wanderers this afternoon, have announced the departure of manager Leigh Dynan. Dynan joined the club in October 2017 after leaving South Division Whyteleafe, and since then has almost entirely rebuilt the squad at King George’s Field. 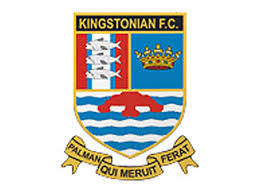 Kingstonian were highly fancied to challenge for promotion this season, and not too long ago climbed to as high as second place in the table, but today’s defeat was their sixth in a row- and it seems was a step too far for the K’s board. For the club statement, please head to their official website, here. Bostik Matchday: Cray go One Step Beyond  Cray Wanderers took on Guernsey. It was a Valentine's Day special- and there was lots to love- from both sides, and their fans.